Five creative collaborations with business, government and wider society are being celebrated by Cardiff University. The Innovation and Impact Awards 2017 highlight the benefits of partnerships between University academics and external organisations. The prize-winning projects have been chosen ahead of the University’s annual Innovation and Impact Awards in three weeks’ time. And Cardiff University is offering everyone a chance to vote for the ‘People’s Choice’ Award by selecting their favourite from the five finalists. The winning competitor will receive an iPad Mini 2. They will be invited to meet the ‘People’s Choice’ team before the gala ceremony on Monday 26 June, and join them for the gala dinner. The School of Engineering helped industry develop a commercially-viable ‘smart’ weighing solution. Developed in partnership with the School of Psychology, the Wales Applied Risk Research Network promotes consistent support for mental health service users. A team at the School of Dentistry used alginates to help fight infection and respiratory disease. A decade-spanning collaboration with the School of Engineering has led to new materials, processes and products linked to electrical steels. Work with the School of Psychology led to a new national policy for decision-makers at major emergency incidents. 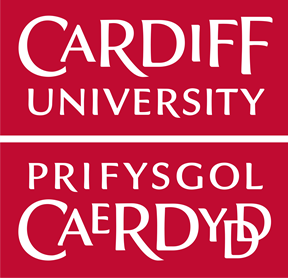 The Innovation and Impact Awards are organised by the Cardiff University Innovation Network, which has promoted business-university interactions for over two decades.